When we first purchased goats, we lived on a small acreage and we chose Nigerian Dwarf goats. We wanted our kids to be able to be in the pen with the goats and not feel intimidated so we chose small a small breed. That also meant goats with no horns. When our goats had kids, we disbudded them. That was our stance until last summer, our first summer on our homestead in Missouri. We went from backyard goat owners to farmers overnight. 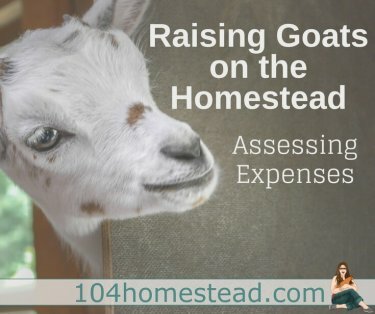 We kept our little dairy herd that we had on our acreage, but also added a separate herd of meat goats. Goat’s milk gets a bad rap. I’ve heard people describe goat’s milk as “goaty” or just plain gross. But when handled properly, it isn’t that way at all! I’ve become a goat’s milk advocate of sorts, trying to get people to just take a sip. 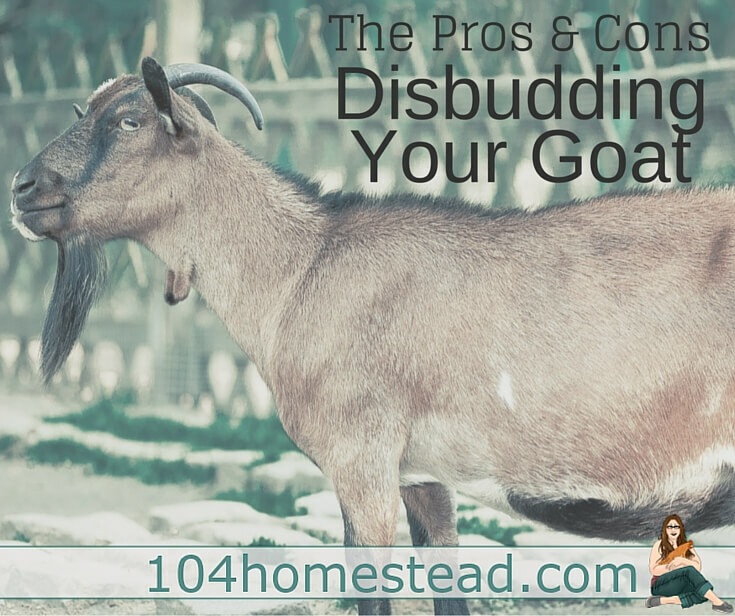 There are several factors that can affect goat’s milk. 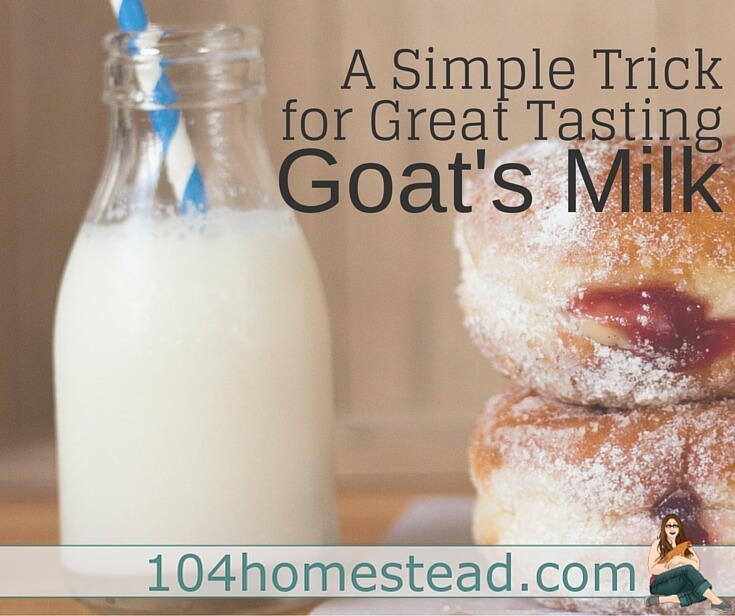 Find out how you can love your goat’s milk. 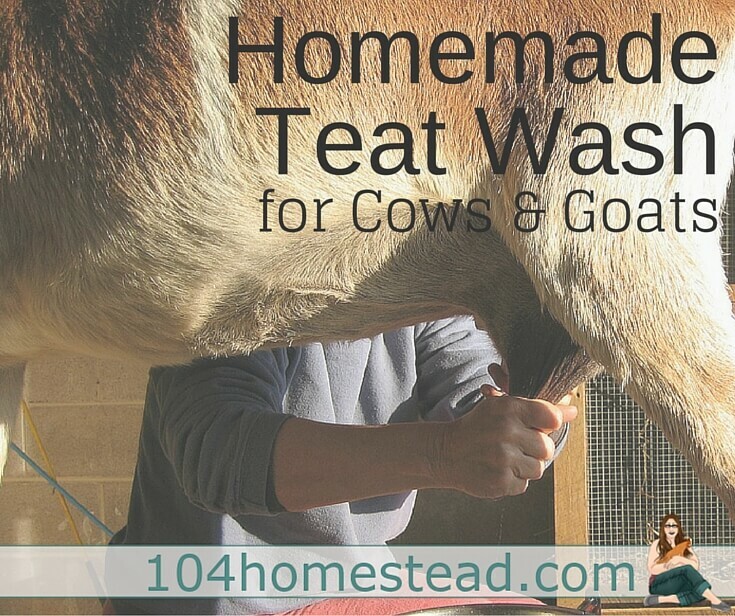 There are a lot of different teat washes out there, a lot of them contain bleach. I just can’t wrap my head around washing a goat’s udder and teats with bleach. I understand the reasoning, to kill all the bacteria that could potentially cause a problem. Bleach, even diluted, is harsh. Here’s a better homemade option.